OE quality components from a major global OE brake supplier. Products tested in leading motorsport competitions. Manufactured in state of the art manufacturing plants conforming to ISO 9001 and ISO TS 16949 standards. Comprehensive application coverage on all European, Japanese, Korean and American models. Discs feature a special coating for outstanding durability. All pads are ECE-R90 certified and asbestos and copper free. 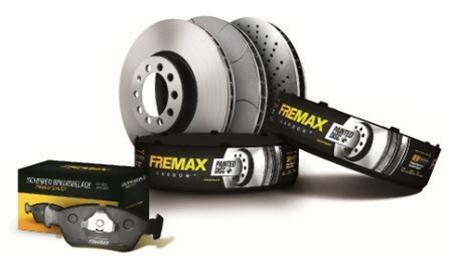 Why settle for just another pad and disc combination when you could be stocking Fremax? Contact your ADE representative or the telesales team to find out more.